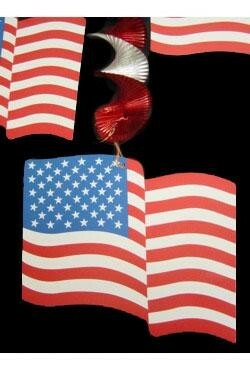 An American/USA flag cutout dangling/ hanging decoration. 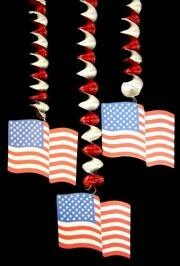 These are perfect for decorating Patriotic themed parties and parade floats. 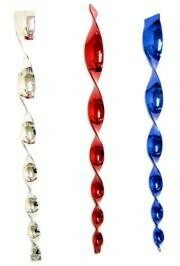 Red, blue, and silver patriotic hanging twisters. 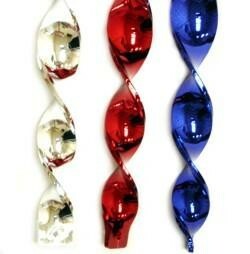 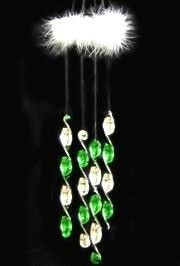 These are great for decorating parties, parade floats, craft projects, and so much more.